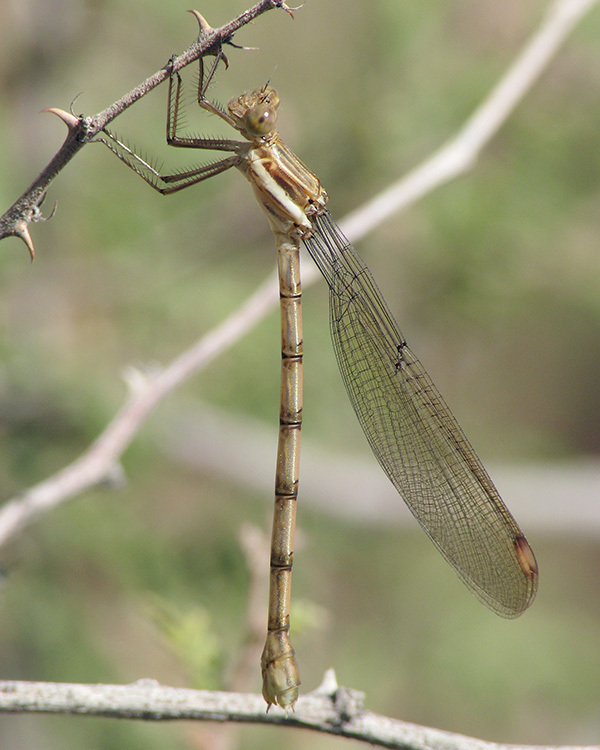 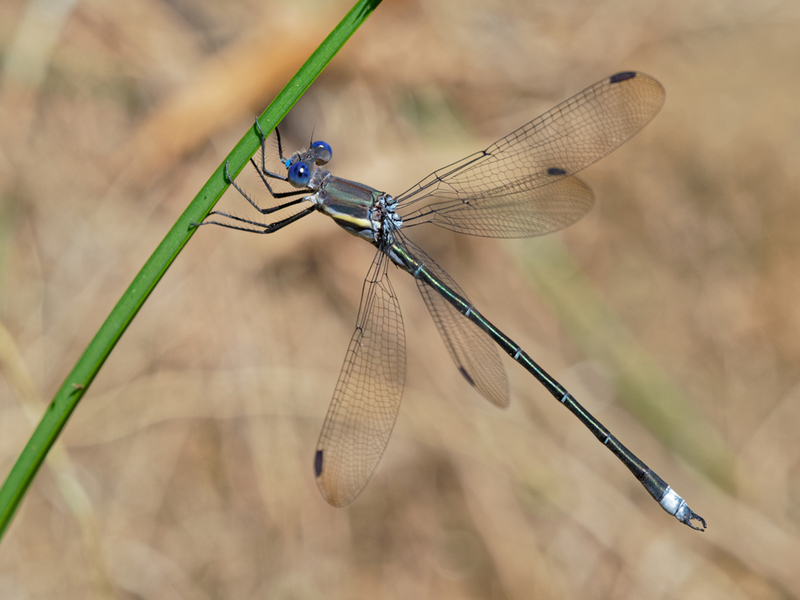 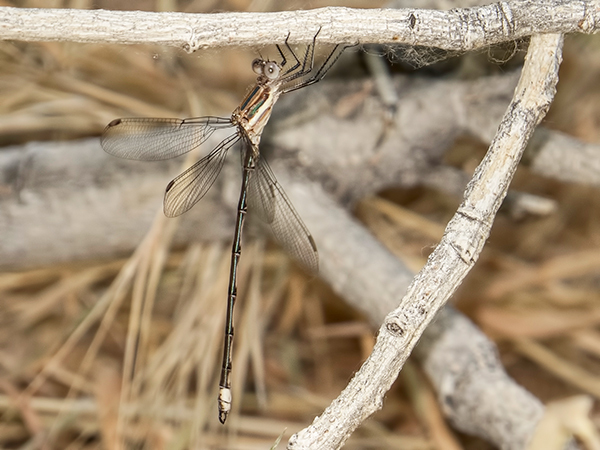 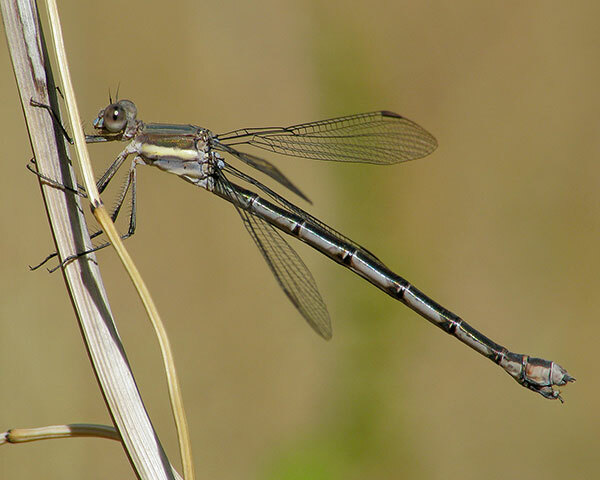 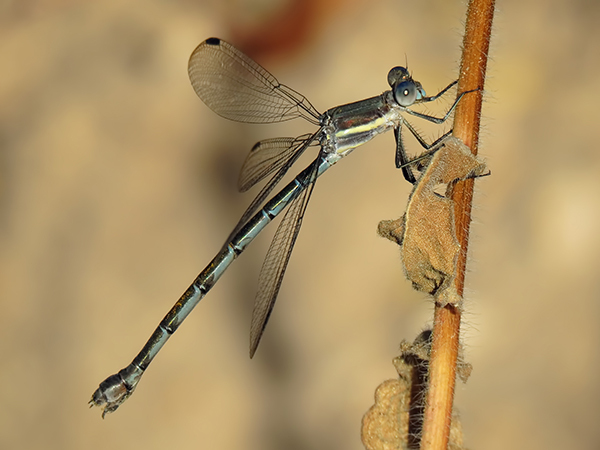 Great Spreadwing, Male eating Arroyo Bluet, Enallagma praevarum, Queen Creek, Pinal, AZ, 4 August 2013. 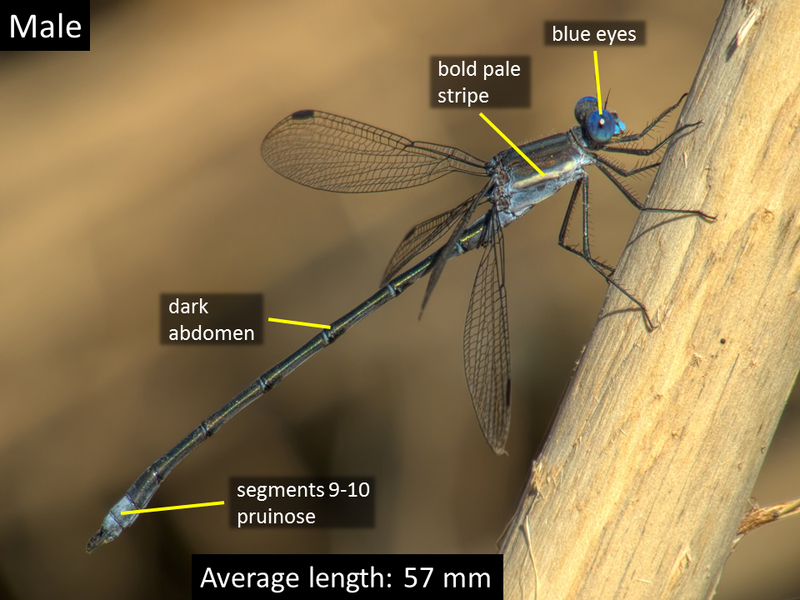 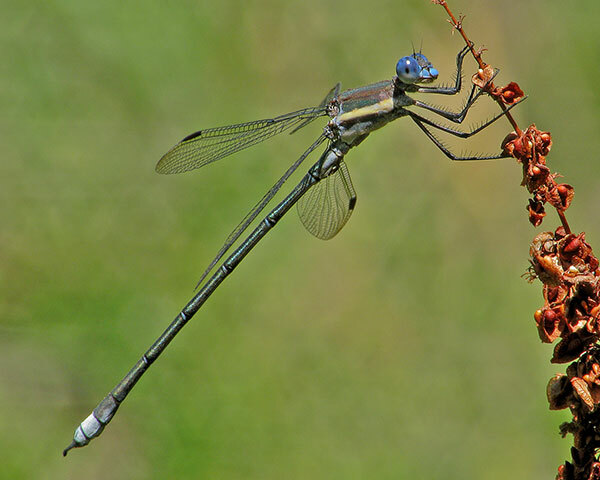 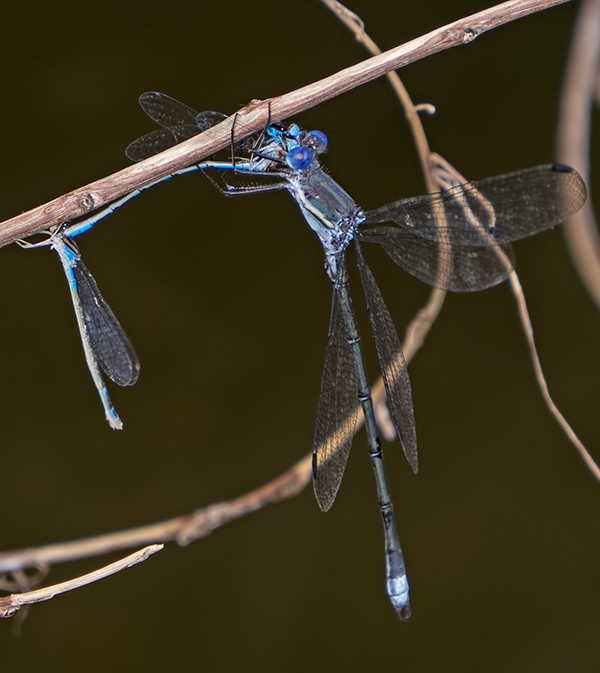 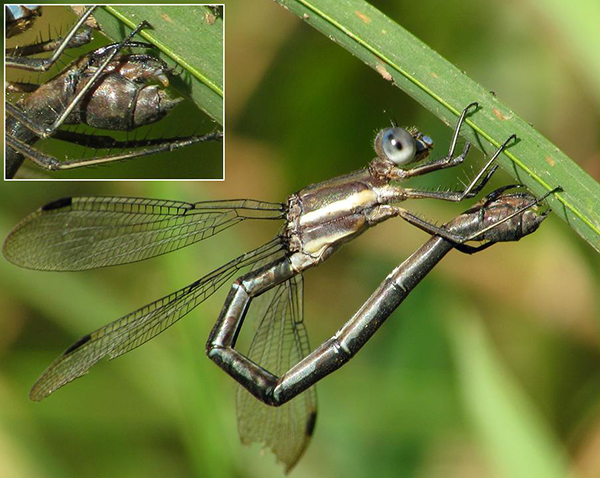 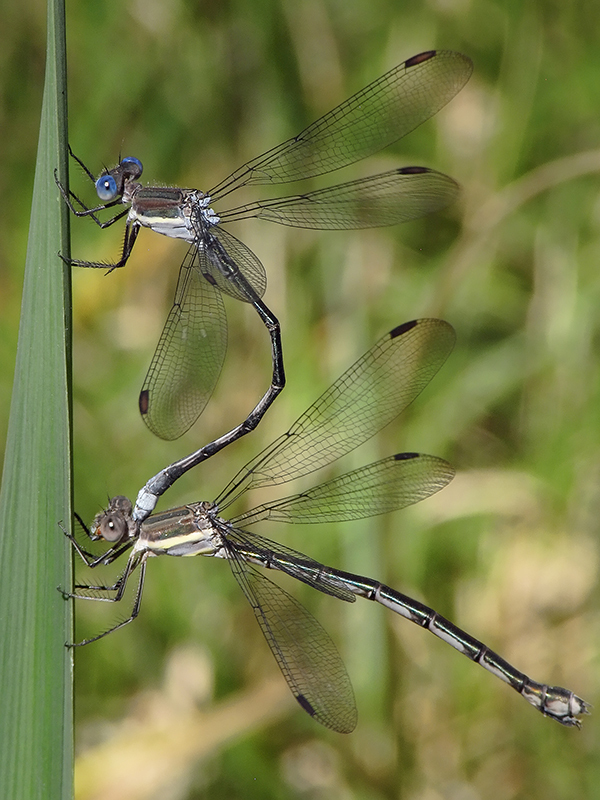 Note male bluet still in tandem with female! 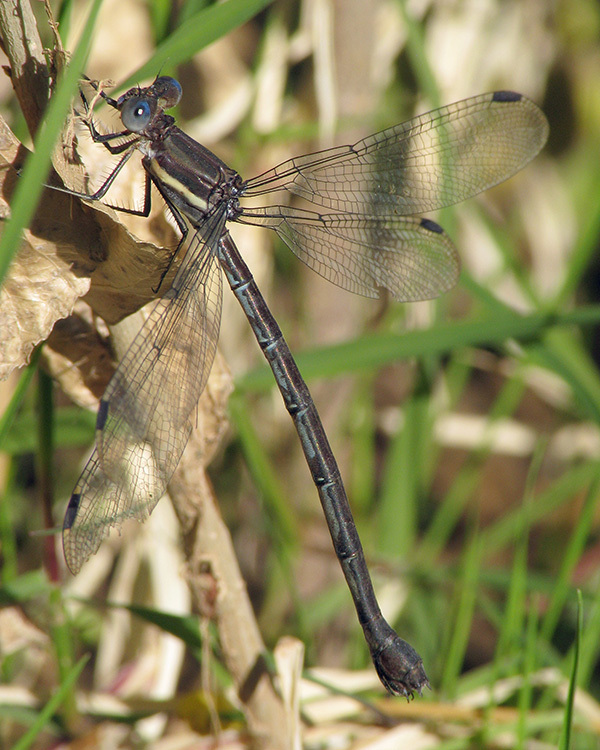 Great Spreadwing, Female ovipositing, Jewel of the Creek Preserve, Cave Creek, Maricopa, 20 November 2010. 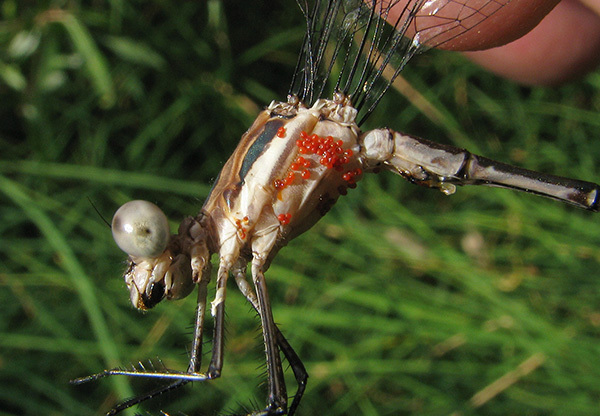 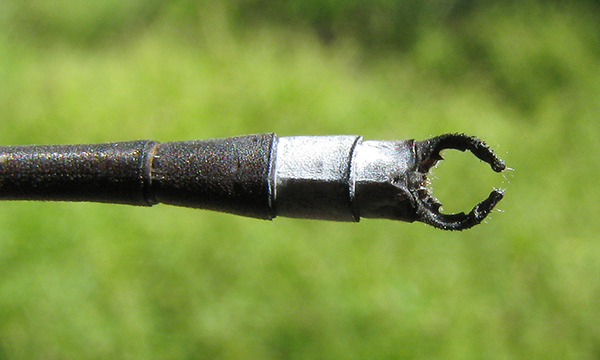 Insert shows detail of ovipositor.